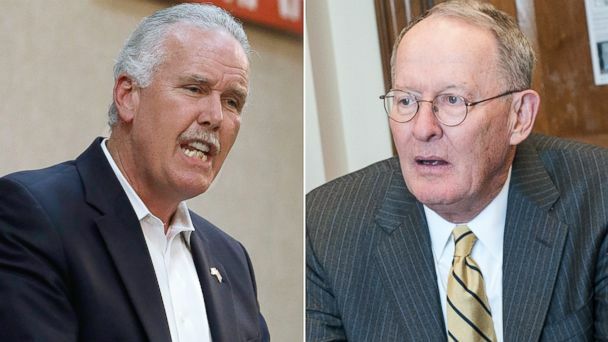 Incumbent Tennessee Sen. Lamar Alexander won his primary tonight, defeating tea party challenger state Rep. Joe Carr in the Republican primary. With 100 percent of precincts reporting, Alexander bested Carr 49.7 percent to 40.5 percent, according to the Associated Press. This was a tighter than expected final outcome. Self-funding candidate and Memphis radio station owner George Flinn came in with 5.2 percent and there were four other lesser-known challengers. This race marked the tea party's last best chance to beat an incumbent senator and with Alexander's victory, it marks the end of months of trying, as well as millions of dollars spent, to oust a sitting senator by an insurgent intra-party challenger. They tried in Kentucky, Texas, South Carolina, Mississippi, and earlier this week in Kansas, but came up short each time. Despite the effort and dollars spent, this will be the first cycle since 2008 when no incumbent GOP senator has lost a re-nomination fight. Unlike many of those other races, this one didn't get the support of several outside conservative groups like the Senate Conservatives Fund, which pledged to toss out incumbent senators in other races but were unsuccessful. Alexander's 35 years in office include two terms as governor, beginning in 1979, and two terms in the Senate with two presidential runs mixed between. He also served as the president of the University of Tennessee from 1988 to 1991. John Geer, the chair of the political science department at Vanderbilt University, said the victory represents Alexander's stature in the state and his effort to keep his close home ties. "Senator is a major figure by any standard, but (Alexander) is somebody who has been around for a while, has never taken anything for granted, tended to the homeland so to speak with great care," Geer said. "Even if in fact he had a super strong challenger, I think the senator would have survived." Geer said Carr wasn't a "high quality candidate" and would have been helped if he was only running against Alexander, instead of being one of several opponents the incumbent was facing. "He's not Rand Paul, he's not Ted Cruz, which further helped the senator's cause," Geer said. Geer called Alexander's victory "a testament to somebody not taking the home folks for granted." "I don't think the conventional wisdom gets Tennessee. People assume Tennessee is a super red state and it is conservative, but it is pragmatic," said Geer. "It's not quite as red as people think and Senator Alexander understands that and he will have a very comfortable time in the general election." Carr, 56, tried to paint the 74-year-old incumbent as out of touch with his conservative state, saying he was wrong on issues like immigration and accusing him of supporting "amnesty." Alexander has emphasized his ability to work across the aisle, including on controversial issues like his vote last year for the Senate's comprehensive immigration legislation that included a pathway to citizenship for undocumented immigrants already in the country. Carr was backed by Sarah Palin, as well as radio talk show host Laura Ingraham, who blasted Alexander for his immigration position, but much like Sen. Lindsey Graham's successful primary in June, their support of the legislation didn't matter. Alexander nabbed endorsements early, shoring up support from Gov. Bill Haslam and nearly every member of the Tennessee congressional delegation. Alexander also swamped Carr in fundraising, raising $6.9 million to Carr's $1.3 million. Alexander will go up against Knoxville lawyer Gordon Ball, who battled it out in his own Democratic primary. But in this red state, it is safely considered to be a Republican seat and widely expected for Alexander to sail to victory in November. Get real-time election results and news about all the races you care about delivered right to your phone from now until November. To start, just "star" this story in ABC News' phone app. Download ABC News for iPhone here or ABC News for Android here. This story has been updated to reflect the race's final numbers.